I wouldn't drive up while the smoke is here. The water is bone chilling cold and you really want that sunshine to warm you up. As you can see today they aren't even calling for any inflow winds. So I am reading you correctly? 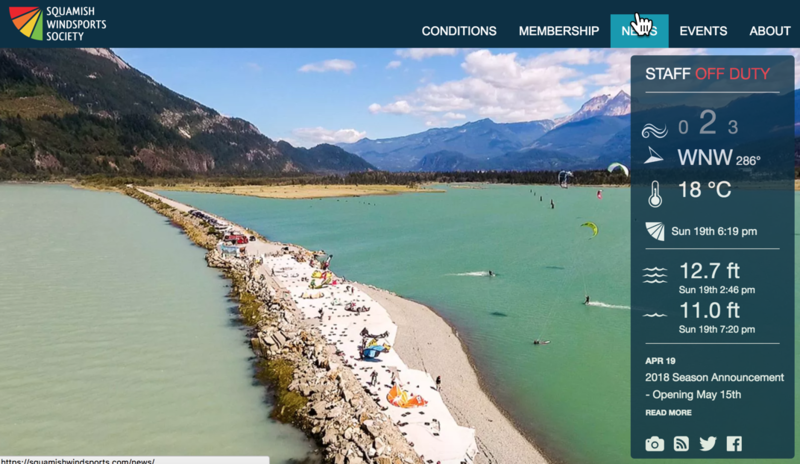 The desired wind for kiting is the INFLOW? A strong temperature gradient going down the columns from Lillooet to Vancouver is a good thing. 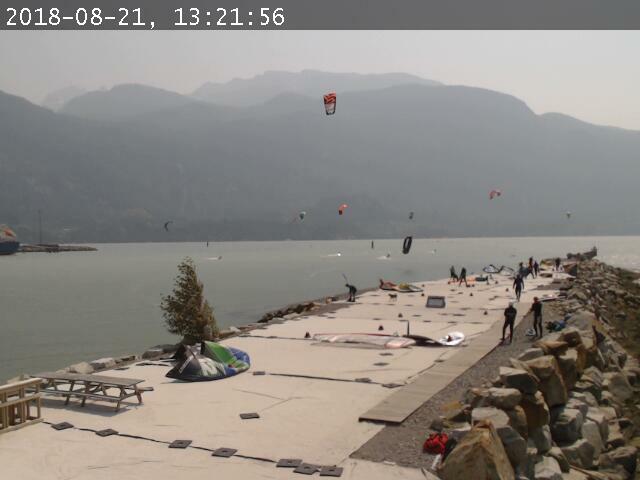 If Lilooet is 29C and Vancouver is 20C as is forecasted for today I would think Squamish is a go, even despite the smoke. Thx! Is there a preferred link for Nitinat or Nimpkish forecast? 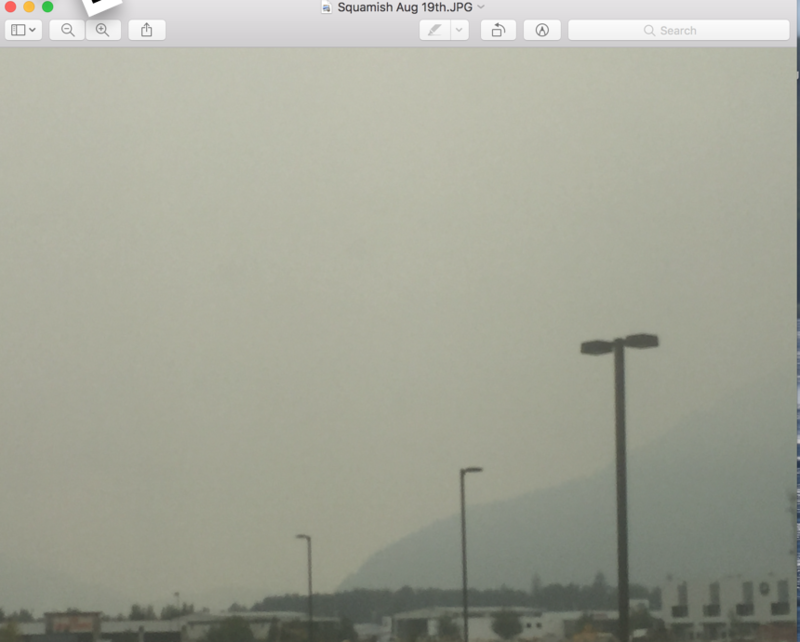 I was there last weekend and the conditions were bad because of the smoke. Light winds because of the messed up gradients. Nimpkish is a long way away though, no experience that far up island with kiting. 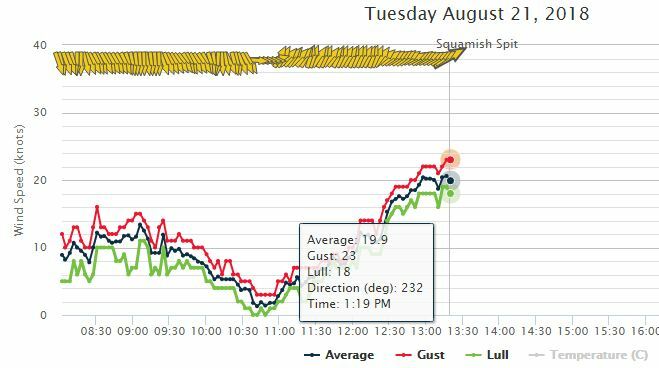 Yesterday did manage 1 hour of 17 knot inflows at the Spit, but who wants to wait around all day for that. Today might be a bit better, but if you are having fun up at Whistler then stay there. I hear https://vallealumina.com is really cool too so might want to check it out. I'm going this weekend. Things looking a lot better today, thermal kicking in around 1:00 with 20 knots. Weather takes a turn from Thursday on and smoke or not the thermal doesn't look good. Awesome! Thanks so much for the great info and LINKS - will save for our next venture Northward. Great unique spot - made it to the spit but just a PRE-run due to smoke and wind direction / looking forward to my Re-RUN getting back up there in season and FREEride modes.